Never before have the four great works of Charles DarwinVoyage of the H.M.S. Beagle (1845), The Origin of Species (1859), The Descent of Man (1871), and The Expression of Emotions in Man and Animals (1872)been collected under one cover. 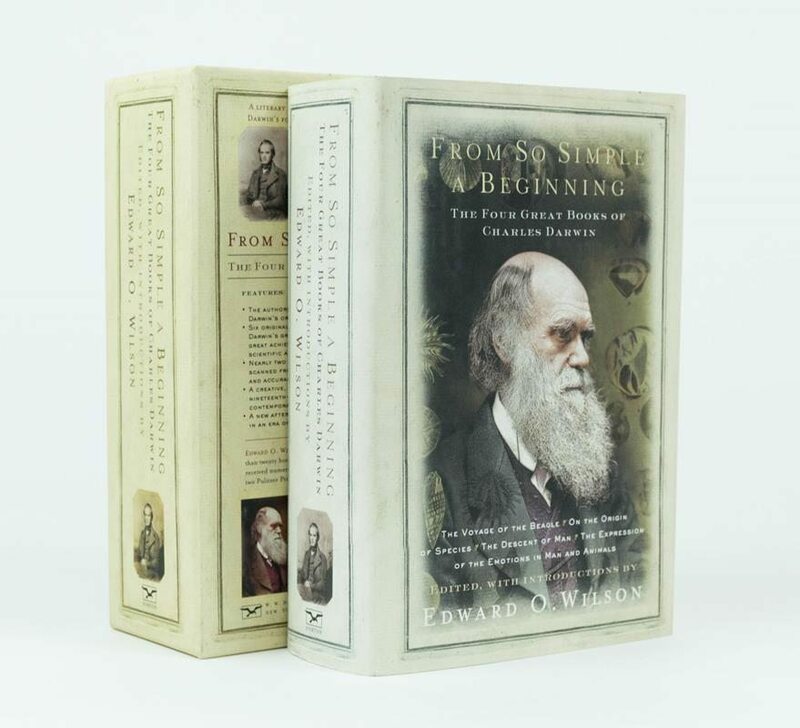 Undertaking this challenging endeavor 123 years after Darwin's death, two-time Pulitzer Prize winner Edward O. Wilson has written an introductory essay for the occasion, while providing new, insightful introductions to each of the four volumes and an afterword that examines the fate of evolutionary theory in an era of religious resistance. In addition, Wilson has crafted a creative new index to accompany these four texts, which links the nineteenth-century, Darwinian evolutionary concepts to contemporary biological thought. Beautifully slipcased, and including restored versions of the original illustrations, From So Simple a Beginning turns our attention to the astounding power of the natural creative process and the magnificence of its products.